The carnage in Turkey and Syria has led to a blossoming of poetry – with women at the forefront. Here, two of them, one Syrian and one Kurdish, tell their stories. 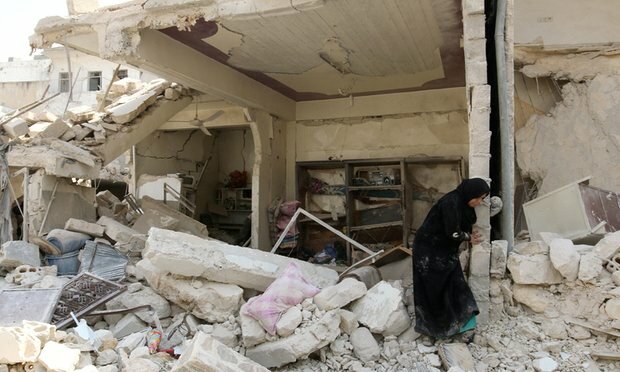 The Syrian city of Aleppo crumbles into rubble, assailed by Russian bombs, government artillery and chemical weapons. In the heat of battle, Turkish troops and Kurdish fighters turn on one another, fighting their age-old war, though both are supposed to be fighting a common enemy, Islamic State (Isis), advancing on the battered, tortured civilians of Aleppo and other Syrian and Kurdish communities in a murderous pincer movement. So the Middle East continues to implode – but amid the chaos emerges a further force, perhaps incredibly, a poetic and literary one. It comes in defiant journalism, like the story televised last week of a gardener in Aleppo who was killed by bombs while tending his roses and his son, who helped him, orphaned. 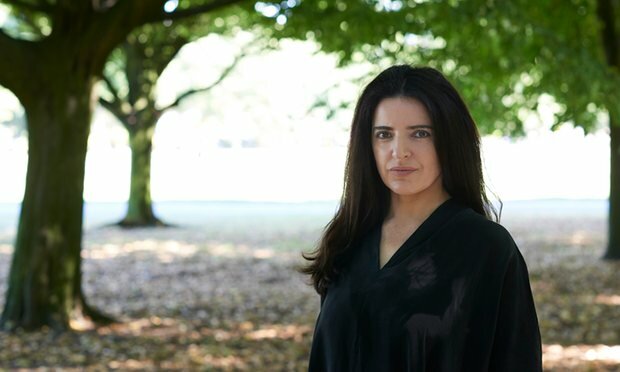 And it comes in the verses of two female poets, part of an emergent school of verse, much of it written by women: Bejan Matur and Maram al-Masri – Kurdish and Syrian respectively. Matur and Masri are the two most illustrious and cogent of this new generation of female poets; their verse combines to create a devastating but richly composed verbal landscape that it is at once epic and intensely human. Raw and lyrical, of the moment but seeped in the memories of their people, immediate and for ever. The two women write very differently. Masri’s poetry vividly encapsulates the frailty of our human condition in a brutal society. It can flay you at first reading. It is fair to see Masri as a love poet whose verse spares no truth of love’s joys and mercilessness, to whose work war then came, as it tore her native Syria apart, and overwhelmed it, and her. Matur’s verse is more mystical: it sublimates the political and politicises the sublime; it locates her people’s wandering within a philosophical meditation on both the meaning and emptiness of being. While Masri’s verse is modern, and modern war poetry of the cruellest order, Matur’s evokes the Romantics, Coleridge and Emily Brontë. Both record, with power and sentient humanity, the vortex of war in our world today, and the millions these wars scatter and shatter across it, not least to Europe’s shores. ‘For me, only through writing poetry can I reach my own horizons,” says Matur. We’re talking in a cafe by the river Lee in Cork, after a discussion of her work in the city library. During the discussion, she had confronted the fact that all her poetry until now was written in Turkish, rather than her native Kurdish, the banned, therefore private language of home and family. Now, repression in the wake of the failed coup against Turkey’s President Erdoğan moves against all Alevi Kurds, like Matur’s family – seen not only as enemies of the state, but also as heretics by its aggressive Islamicisation. “No one feels safe,” she says, as pro-regime mobs stage incursions into Kurdish communities. Matur was born in 1968, in the ancient Hittite city of Maraş, in Turkey’s south-eastern corner, Iraq to the south, Iran to the east. “I was a bookish little girl,” she says. It was “in that dark cell that the interrogations began. That’s how your world is taken from you, in pure, total darkness. And when the interrogations stopped, I thought: ‘I can’t just try to count time in this timeless dark, I have to find another way to feel my being’. That’s how I started writing poetry. In my head. To bring back to life an existence they were trying to obliterate. My poems are about the reconstruction of a shattered being. But in the aftermath of this nightmare, Matur spoke at an Amnesty International conference, and for the first time “found the energy to share my story”. She wrote what became a defiant bestseller in Turkey, Looking Behind the Mountain, a collection of Kurdish voices, simply but intelligently – therefore explosively – collated. It begins with an essay, in which Matur says: “We need a person like Mahatma Gandhi”. Both Freely and translator Ruth Christie invoke Wuthering Heights in Matur’s references to “mansions howling with winds”. As with Beckett, whom Matur admires, “I understood /time passes./Going is not going/staying is not staying”. Matur speaks with a curious combination of passionate engagement and ethereal quality. As befits her poetry: the rock of ages, the sources of rivers, the counsel of ancestors are as much a part of the cast as she is. “I don’t use a political language, but my poetry is very political. Poetry is about the meaning beyond, about why we exist, what is the meaning of our being? At some level, these inevitably become political questions too. His name was Khaled al-Issa, “a lovely man, good at his job, kind, gentle – look!”, she says, and shows me a video of Khaled feeding a songbird perched on his finger with birdseed placed on his own tongue. 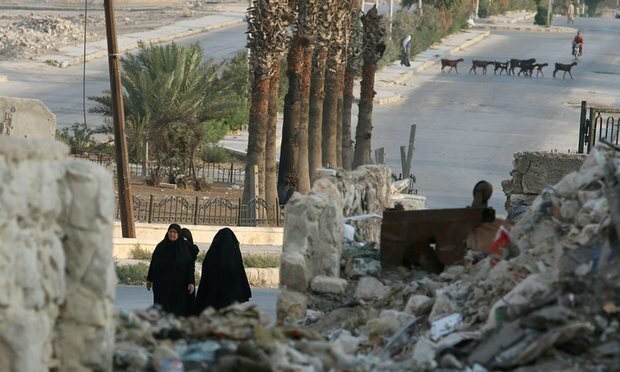 With the noose tightening around Aleppo, Masri says: “Aleppo is the final revenge against the city that was the cradle of the peaceful revolution – a genocide against everyone that does not flee all they have, and the graves of their families. I follow every moment. Masri was born in the Mediterranean coastal city of Latakia, where she grew up in what she describes as a crossroads between Arab roots “and nurturing ourselves with Bob Dylan, Joan Baez and Leonard Cohen”. An avid reader and writer as a child, her parents knew French and she studied English literature at Damascus University. Masri began publishing poetry in magazines across the Arab world during the 1970s; during the 1980s, she moved to France, living between her native and adoptive countries. In 1987, she published a first volume, followed 10 years later by a singular book called A Red Cherry on a White-tiled Floor. These are love poems with a difference, which helped Masri claim the Adonis prize, named after the world’s most famous living poet in Arabic. The book establishes the poetic world Masri had wrought before Syria’s carnage, before her theme of love was engulfed by what is supposed to be love’s nemesis, war. Only Masri’s account of love is so painfully as well as sensually layered, they are not opposites at all. The book consists mainly of portraits of women and thereby womanhood, each short poem representing the voice of an individual. We are taken into the worlds of her cast, starting with a droll, poignant poem that recalls the Beatles ballad Eleanor Rigby – about Betty the retired schoolmistress and her cat, Katheline, which is “detested by everyone/except Betty/who loves nobody/except Katheline”. In another, Atife asks whether her love of life and a sense of her womanhood are crimes: to “touch the essence of earth”, “let my hair float free”, “put colour on my lips/to say that I have a mouth.” The poem reads like a celebration of existence itself, until that existence is abruptly ended in the final stanza: “Is it a crime to live in a country/where freedom/is hanged by the neck?” The country is Iran; the story is true; the girl was hanged for her feminine joie de vivre. But now comes the war: now the shells start falling, the chemicals burn, the sieges begin and continue in Aleppo, Homs and Masri’s home town. Her friends and family are caught in another, real-life void, in what began as the Syrian spring, became the Syrian revolution and is now a fight to the bitter end for survival. Now Masri has but one love, her country and its suffering people, dying by the hour, like Khaled and for all she knows her own child – or else fleeing to face the deathly depths of the Aegean, the part-embrace of Germany and refugee camps across Turkey and Lebanon that Masri tours, reading from her book of war poetry, the astonishing Liberty Walks Naked. The poems “began after the bombing of the university,” she says. “With a picture of a lady with the shoes of her little daughter in her hands. All she has are the shoes, the girl is dead.” She now produces an appalling picture of a boy lying dead in rubble, “another Alan, back in Syria, who never made it to the Greek island”, she says of the famous picture of the drowned child. “For me, these are poems in the making. Scenes that play out in my head. If only so that there is some monument in words, some memory – it’s important to Assad that there be nothing afterwards, and there has to be.” Finally, in the last poem, there is Liberty: “My name is Freedom./ She walks naked … / She crosses the land / Her children, clinging to her arms … / They slit her throat / But still she sings”.